self-employed graphic designer, this book is his first historical work co-written with Roger Day. He is married, has two teenage children and lives near Aldershot in Hampshire. Roger Day's family have lived in and around the village of Ramsbury, Wiltshire, for generations. During his childhood and early adult years he became very interested in the wartime history of the village and the surrounding area. 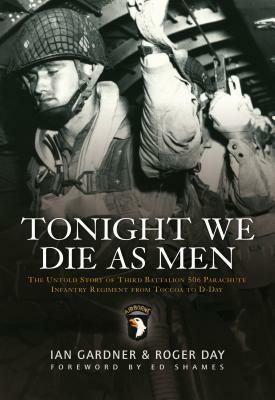 In addition to co-authoring Tonight We Die As Men with Ian Gardner, Roger has previously written Ramsbury at War (1999) and a history of the World War II ammunition depot that was located in Savernake Forest, Wiltshire.